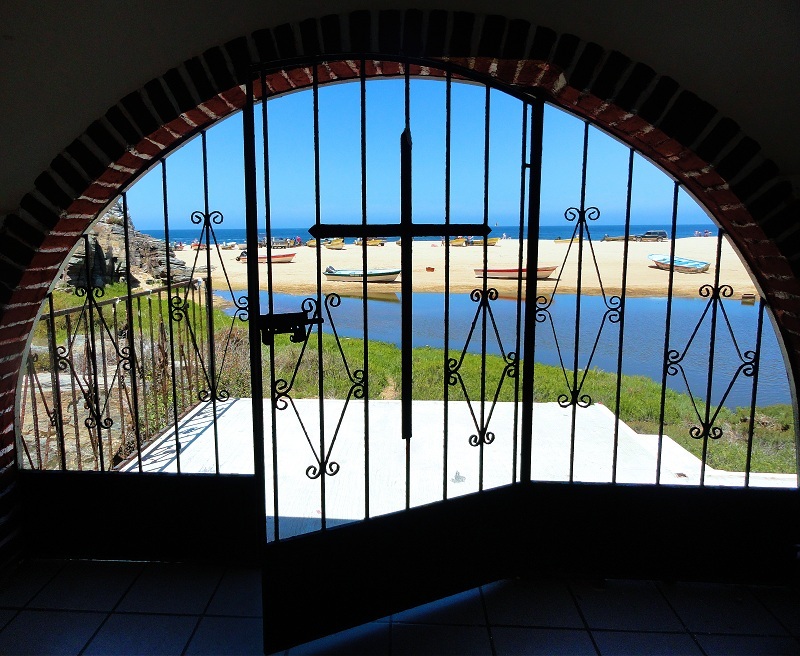 On Easter Sunday, Melissa and I drove across the Baja peninsula to the small town of Todos Santos and the nearby pacific beaches. We can now discern with some confidence the dirt roads that actually go somewhere useful and Melissa found a great beach, Punta Lobos, just south of Todos Santos where the the fishermen launch and land their pangas on the beach. We enjoyed seeing how the whole family came out to enjoy the fine weather as husbands and fathers were out at sea or working on boats. Other families, like us, were just out to enjoy the beach. There is a very nice shrine near the beach to remember those who did not return from the sea and to ask the blessings and protection of the Virgin for those who venture out in boats. We have been photographing several of the shrines in the area and will be building a dedicated post for them. This is one of the more beautiful structures we have seen. It is actually like a small chapel with an alter, a large cruxifix, and beautiful artwork depicting the Virgin. In addition to enjoying the fine weather, we got to watch and record how the fishermen here land their pangas. Clearly, they have some experience in sizing up the surf so as to be driven as far up shore as possible. The video below captures the landing. After the boat is on the beach. a modified truck is used to haul the boat further up and out of the way, ready for the next landing.